Located at the southern extremity of the Caribbean Sea, the island of Barbados is known for the great number of coral reefs surrounding it. These formations offer a lot of study material for the professional and amateur marine biologists, a wide variety of sea creatures living here. The most important of them are Dottins Reef, Bell Buoy, Silver Bank and Maycocks Bay. Dottins Reef – Situated in the proximity of Holetown Coast, it is the home of barracudas, turtles, creol wrasse and yellow tail snappers. Besides hard and soft corals, in an impressive palette of colors, sponges can also be found here in great number. 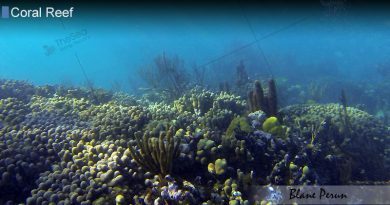 Bell Buoy – With a shape similar to that of a bell, it is composed mainly of brown corals, parrot fish, chromis and angel fish populating the area. Silver Bank – The formations of sea fans and corals shelter many fish species, such as groupers, trigger fish or snappers. Maycocks Bay – Located near Checker Hall, it is a maze of coral colonies, with “walls” separated by crystal clear waters. What makes it special among the other reefs in Barbados is the fact that it is positioned from East to West.